This financial planning firm believes in the value of developing a relationship with clients before touching a single dollar. 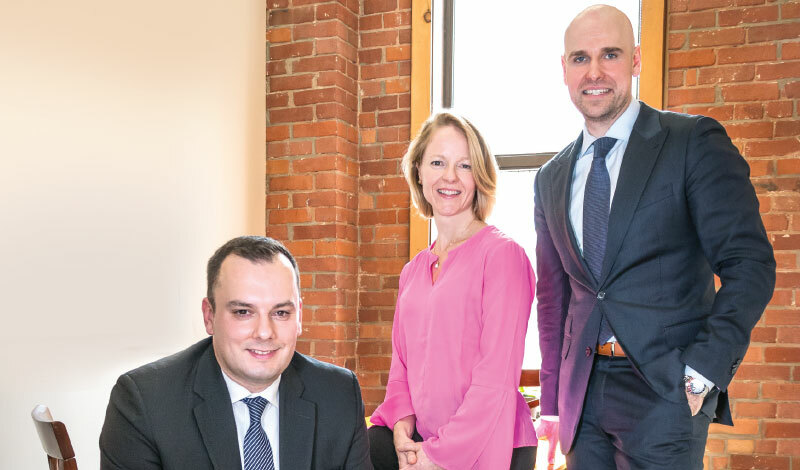 Woodgate Financial Inc. has been flourishing as an independent financial planning firm for the past decade — managing millions of dollars in investable assets for approximately 350 families within the Toronto area. 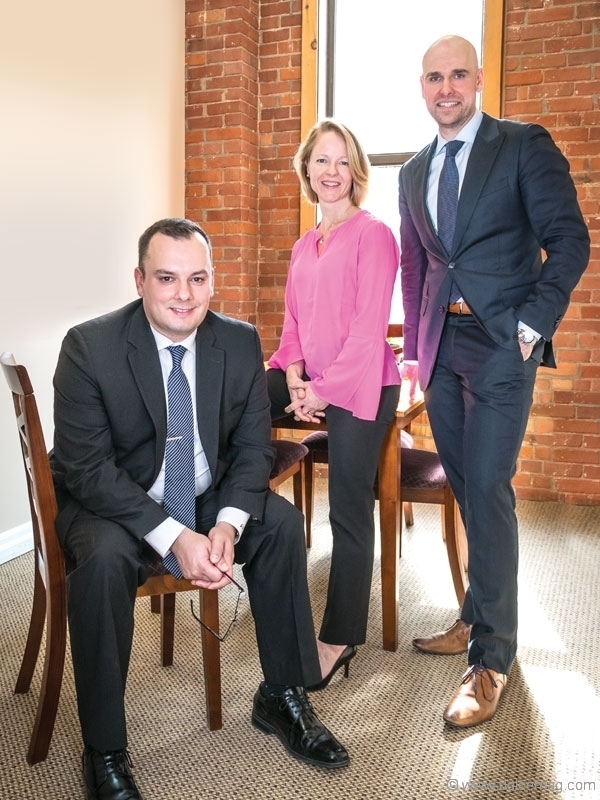 Led by three senior partners and financial consultants — Jason Pereira, Kathleen Peace and James Collins — this firm of highly accomplished financial industry experts has garnered significant attention and accolades in the public sphere. Pereira, one of the main partners at Woodgate, has received numerous awards, including having been named one of the Top 50 Advisors in Canada for the past three years and Americas Region Winner of the 2015 PlanPlus Global Financial Planning Award. He also teaches financial planning at Toronto’s York University. Woodgate’s success is not limited to Pereira, however. The three partners combined hold more than 10 financial designations. Woodgate has “one of the most credentialed teams in the country,” as Pereira describes. Not only are they qualified, Woodgate advisors also fully immerse themselves in their clients’ financial affairs so they can offer the best guidance and advice. The comprehensive analysis and recommendations that Woodgate provides further assist customers in navigating their financial world. Woodgate aims to place its clients on the best path to attaining all of their financial goals and dreams. Q: What is the difference between Woodgate and all the other financial planning firms out there? A: Institutionally, everybody says they care about their clients. But when you start asking what that actually means, it’s not necessarily a lot of attention to detail. They don’t necessarily do a lot for clients. So for us, caring is one thing. We do demonstrate that however possible. We pay a lot of attention to their personal landmarks in life. When things go wrong, we do what we can to lend help through our network — like through referrals to medical professionals or clinics. A lot of the time with other firms, the relationship ends at the door when it comes to money, but we don’t see it that way. We’re really here to support what happens in their lives. In this industry, if we get clouded by the fact that we see numbers on the screen, it just becomes about tracking money and keeping score. The reality is, money is not just money. Money is someone’s life and someone’s future, and we cannot lose the connection we have to that. Q: What reactions do you get from new clients when they start to see everything fall into place? A: We are aware this process can be overwhelming, so we do it over a period of time, breaking it up into bite-sized meetings. What’s the reaction? They see the immediate difference from where they were before. Our value is visible to them. Oftentimes, whether our options are the same price or cheaper than previous conventional options, they see a massive difference in value from what they were receiving before. Some clients actually feel upset about what they’d received before. Q: You have been working with a surging number of female entrepreneurs as of late. From an industry perspective, what are your thoughts? A: It’s been exciting. I love working and being friends with strong, dynamic women and playing a part in their continued success. Female entrepreneurs are typically the most demanding; that’s how they’ve made their money in their businesses. I’m a business owner myself and I understand their needs and the demands on their time. Meetings and calls take place on the go, in their office, or in a casual setting. It’s whatever and whenever works for the client. Q: When is the right time for people to enlist your services? A: The best fit for us is when someone has reached a level of complexity in their financial lives where they feel like they can’t manage it all anymore. If you have a million dollars in investable assets, especially if you’re in your 40s and 50s, it’s probably because you’re very successful at doing what you’re doing. We have a lot of business owners and executives as well. Their time is so much better spent in their jobs. They can create more wealth running their businesses, doing what they’re really good at, than trying to figure this out, which is not a part-time job. You can’t do this as efficiently as we can in your spare time by reading a couple of newspapers on the weekend. So really, when they get to the point of “I have too much to do,” that’s where we come in. We’re looking for people who want to delegate.